In two weeks time I will fly to Hong Kong for the opening of my solo exhibition Dyssomnia, curated by the Eye Contemporary Art Gallery, at The Muse Artspace - Hotel Stage. The exhibition will showcase several new paintings from the Dyssomnia series and will stay open from 14th to 25th April. Vernissage is on Saturday 13rd April, 18:00-21:00. A rich catalogue will complete the exhibition, with critical texts by Sage Lam and Anastasia Zio. 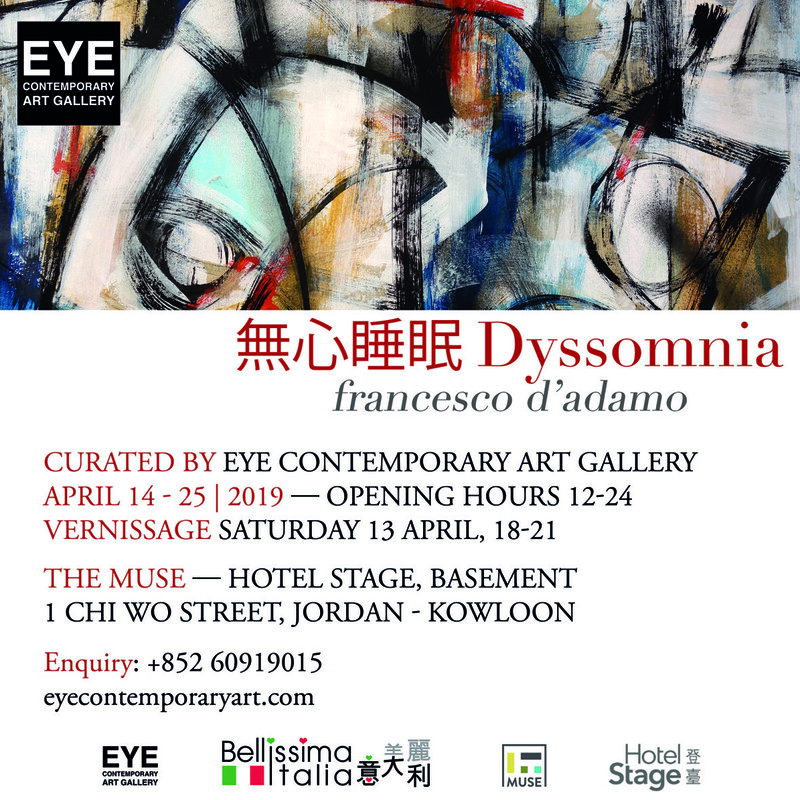 A special thanks goes to Eye Contemporary Art Gallery for making this exhibition possible, the Italian Consulate in Hong Kong and the Bellissima Italia project that will support the event, the staff of Muse Artspace and the Hotel Stage.